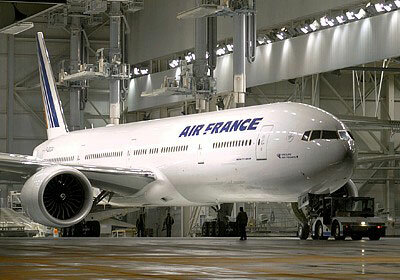 Air France is an airline company based in Paris, France. Being the largest airline company in the entire Europe, Air France operates scheduled flights to over 185 worldwide cities in 83 countries. The primary hub for the airline is located at Paris Charles de Gaulle Airport. Other smaller hubs include Paris Orly Airport, Lyon Saint-Exupéry Airport and Nice Côte d'Azur Airport. On September 30 2003, a merger was formed between Air France and Netherlands-based KLM Royal Dutch Airlines to be known as Air France-KLM. There are a total of 3 main classes in terms of Air France cabin :- L'Espace Première (First), L'Espace Affaires (Business), and Tempo (Economy). A feature called Tempo class service is available for flights within Europe. A premium economy class called Alizé is being offered for passenger flights to both the Caribbean and Indian Ocean. In selected cabins, inflight entertainment services featuring AVOD (Audio Video on Demand) is available.